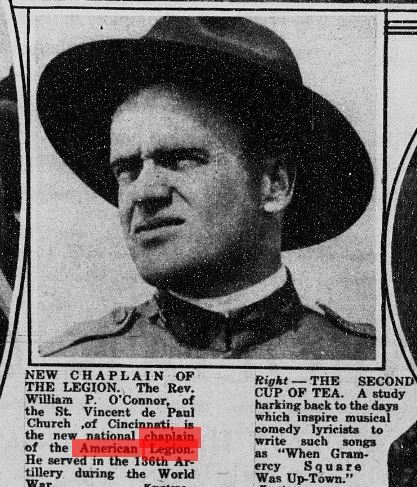 Identified chaplain photos have become incredibly popular in the past few years given the ramp-up effort to prepare for the 100 year anniversary of WWI. I’ve made an effort to scoop up as many interesting chaplain photos as possible to share here on PortraitsofWar to help spread the word about the U.S. involvement in the war. 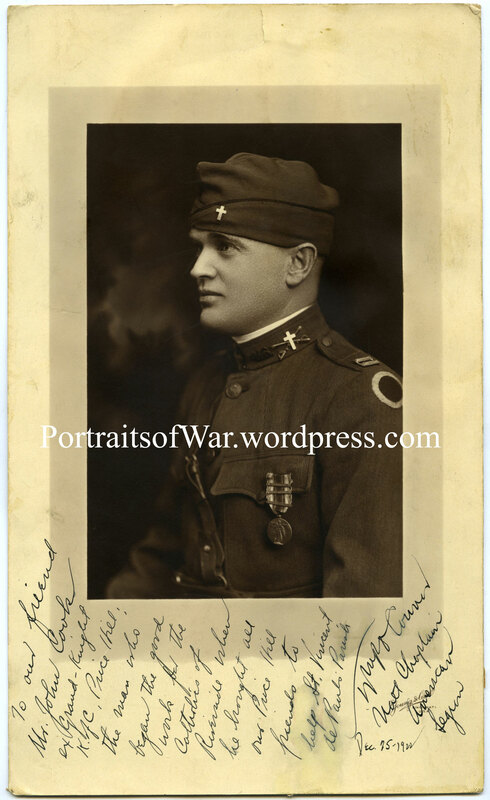 A recent eBay duel landed me with a top-notch portrait of a 37th Division (primarily Ohio based division) chaplain posed with his WWI Victory Medal and uniform. The inscription on the bottom ends with a crude signature. I was able to do my typical google, ancestry.com, Library of Congress and Fold3 search to come up with a 100% positive identification. “…………… I take this occasion to thank the Knights of Columbus of Cincinnati for their exceeding kindness and consideration to the Chaplain, and to thank all the people of Ohio for their kindness to the soldier boys.